A Tacoma man wants to connect his community through the universal game of soccer. Soccer is a way of life for Sebastian Diaz. 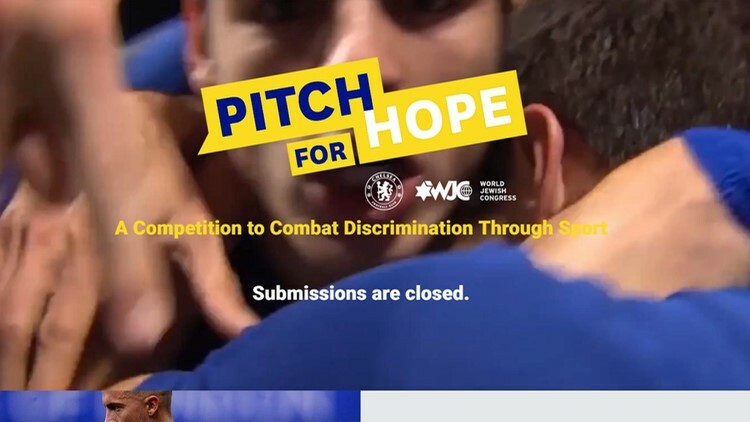 That's why the Tacoma resident was so excited about Pitch For Hope – an initiative by Chelsea Football Club and the World Jewish Congress to fight “racism, xenophobia, discrimination, and antisemitism in sports." The project awards up to $10,000 in grants to several international projects. On Thursday, Diaz learned he won 2nd place and $5,000 for his proposal. A screenshot of the Pitch for Hope website. Diaz imagines immigrants and refugees meeting their neighbors, and building community connections at the same time. He said the project is important to him because he understands what it’s like to be new in town. He’s since become a U.S. citizen and now wants to give back. “I want to give the opportunity to those that might be facing the same struggles,” he said. He believes soccer is the perfect vehicle to bring people together – by helping people focus on what they have in common, not what divides. “The community needs to be exposed to other cultures,” he said. “There is discrimination in this sport, and the way I believe we can get rid of the discrimination aspect of the sport is to expose people to other cultures, religions, and beliefs. This event is about bringing people together." Diaz will use the $5,000 prize money to start his festival planning and will seek additional funding to complete his vision.